For many, the nuts and bolts of how Tonisborg was stocked is sure to be the most anticipated part of our analysis. It gets at the heart of what a dungeon was imagined to be by a member of the inner circle of Twin Cities players at the dawn of the game. The forums are replete with post - some I have participated in myself - about how much treasure there should be, or how many empty to inhabited rooms there should be, and so on. That leaves only 1/3 of the rooms inhabited with a monster, though traps or treasures may be in other rooms. Looking at Tonisborg, we see that on the first level, only room 12 isn't keyed, but that appears to be more of an oversight than a deliberate choice. However, on levels 2 through 9 there are no numbered but uninhabited rooms. Mr. Svenson only numbered rooms that had monsters in them. There are no trap rooms and no empty but numbered rooms. More than that, there really are very few un-numbered room spaces on any of the levels. Usually, any space big enough to be considered a room was numbered and given a monster. It is apparent that Greg Svenson was not following the D&D rule that only 1/3 of the rooms on every level of the dungeon will have a monster. It is also evident that Mr. Svenson did not follow the Monster to treasure ratio rule found on the same page of the Underworld &Wilderness Adventure D&D booklet. This rule holds that of 50% (half) the monster inhabited rooms have treasure, the other half does not. Each level of Tonisborg dungeon has a little different percentages of treasureless rooms, ranging from 50% to only 6%. The average percent of monsters having a treasure is close to 78%. There is no reason to think these percentages were intentional. In fact they are merely the natural result of rolling on the Treasure Types tables found in the Volume II Monsters and Treasure booklet, pages 3-4. (1974). Those tables - a snippet of which is shown below - give a percentage chance for various treasure items. It is entirely possible to roll across those tables and come up empty, having missed the needed percentage chance with each roll. It is often said that OD&D dungeons were "intended" to be stocked with treasure that was either hand picked by the DM or determined using the "Level Beneath the Surface" table found on page 7 of Vol. III Underworld &Wilderness Adventure booklet of the 1974 D&D rules. The "Treasure Types" A through I listed with each monster, were intended, it is said, only for so called "wilderness lairs". I've argued (Within my Article Here) that this idea is nonsense, and that in fact, the Treasure Types were originally intended to be used in dungeons too. So it is of some interest to see what method Mr Svenson used in 1974. We can rule out the Level Beneath the Surface table shown below rather quickly, because those LBS treasures always contain silver and never contain copper and that is clearly not the case with Tonisborg. However, when we turn to the Treasure Type tables and look at the treasures each type of monster could have, we find a very strong correlation to the actual treasures in Tonisborg. For Tonisborg, Greg Svenson very definitely used the Treasure Type Tables, and never used the Level Below the Surface treasure table. Most of the treasures conform to the Treasure Type exactly as expected, although there are a few anomalies like the ghoul on level 1 who somehow got 6800 silver instead of 6000 or 7000 silver, and 500 gold instead of 5000, but the treasures of the various creatures clearly fall in the ranges of the their particular Treasure Type and not any other scheme. 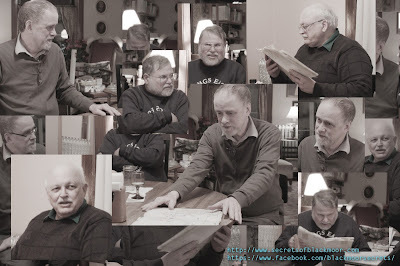 In this respect Svenson is once again falling in lockstep with Dave Arneson, who as shown in the article linked above, also relied on the Treasure Type tables when stalking Blackmoor dungeon in 1976 for convention play. One interesting thing to note regarding Svenson's use of the Treasure Types is his interpretation of the phrase "any #" appearing in the Maps or Magic items column. To explain, the Magic or Maps column of Treasure Type E reads "30% any 3 + 1 scroll". It's not exactly clear whether that means you role percentiles three times, and if any of those is less than 30% you get an item, or if you roll once, and you get 3 items if you get less than 30%, Today, the latter method seems to be the most common understanding, but Svenson must have used the first method to obtain the results we see in the Tonisborg stocking list. 12000sp, 3000gp, 10 Magic arrows, Scroll of M. Protection. So only one of "any 3" possible magic items was awarded, along with 1 scroll. One feature of Tonisborg dungeon that is somewhat clearer is how the monsters were chosen. On page 10 of Vol. III is a " MONSTER DETERMINATION AND LEVEL OF MONSTER MATRIX" table followed by a grouping of monsters into 6 "Monster Levels". The Tonisborg stocking lists conform to this method and it appears that Mr. Svenson was using these "MONSTER DETERMINATION AND LEVEL OF MONSTER MATRIX" tables - or something like them. The issue is that there are several 1974 D&D monsters present in Svenson's key that do not appear in the Monster Level tables, including elves and grey ooze. Presumably, someone, perhaps Greg himself or Dave Arneson, had revised these tables to include a few missing monsters. The monster numbers appearing also look as though they were drawn directly from the 1974 D&D booklets. These almost always fall within the ranges given in the MONSTER REFERENCE TABLE on page 3 of Vol 2. This is the same table indicating the Treasure Types. There are however a few notable exceptions - such as a room with "only" 12 goblins. Possibly Mr Svenson was merely rolling what he felt was an appropriate die - like a d6 for giants and a d20 for goblins. Most of the monsters on the MONSTER REFERENCE TABLE have a Number Appearing range that would easily fall in the common D&D dice ranges, making it difficult to tell if this table was consulted or if the numbers happen to coincide from random rolls. Original Dungeons & Dragons Volume III (page 6) recommends a number of tricks and trap that apparently have a lot to do with Gary Gygax's vision of a dungeon. These include transporter rooms, shifting walls, sinking floors, trap steps, illusion rooms and maze like coiling corridors with door after door. Tonisborg dungeon appears to have none of these exotica. The key says nothing of traps or tricks at all. However, Tonisborg is not totally devoid of such things. There are plenty of secret doors, trap doors with ladders, and open shafts. There is that mysterious note about the plate armor holding a sword, a few areas of natural cavern, and at least one pit trap marked on Level 10. Going through this as we have, reveals a dungeon that partially conforms to the conventions of what a D&D dungeon is supposed to be "by the book", and partially does not in crucial ways. Tonisborg reveals what at least one dungeon of the time actually was like. We see virtually no attention paid to the guidelines presented in the D&D booklets, but a fairly strict adherence to random rolling on the tables found therein, with some creative adaptations - just as with the levels 1-6 in Arneson's convention version of Blackmoor dungeon. We see a complex arrangement of passages, corridors, secret doors and stairwells, making the dungeon itself a exploratory puzzle. Tonisborg is a Twin Cities dungeon, created by one of the central figures at the center of the development of D&D. It is a historical treasure, and we are working to make it available for all to enjoy and ponder over. Stay tuned and game on. Now that we've established some of the history, our next couple posts are going to look more at the nuts and bolts of the dungeon. I mentioned earlier that the stocking list might not be the original list. There is some reason to think the list may have been re-made after the "new" D&D rules booklets came out in an effort to conform. In fact this seems the best explanation of the facts at hand. The clues to this earlier stocking list are small notes here and there on the maps. These notes are part of the photocopy, and so were written on the original graph paper. As such, they are often very difficult to read, but what can be deciphered resembles exactly the kind of pre-D&D gaming terminology we see in the Twin Cities, while evidencing no hint of elements from published D&D. For example, on both Levels 1 and 2, there is a room with a note "12 per door". That may be a requirement to roll 2 dice to open the door, with a very low chance of success. This same area on Level 2 has 3 heroes and a very unD&D like light cannon. Another note on level 2 has an apparently animate guard consisting of "Plate(mail?) holding sword". There are only a few notes like this, but nevertheless these little hints are fascinating windows into a pre D&D, Twin Cities dungeon set in Blackmoor. Level 10 has two especially interesting examples of these "nonD&D" map notes, and in this case they seem to have been re-written on the copies. One reads "Sp. evil area Statue 2 perm wishes and 20 temps". The first thing we should observe is that there is no rule in D&D about "temporary" wishes, nor are there things called "evil areas". "Sp" probably is meant to mean "special power", a term regular readers of this blog will recognize as occurring sometimes in FFC notes. In fact this whole "evil area" phrase in Tonisborg is not at all unique to Greg Svenson. A very interesting, if equally vague echo, is found in the FFC for Arneson's Blackmoor dungeon. In the key for Blackmoor dungeon level 5, room 18, it reads: "Evil area, 2 permanent, 20 wishes". As can be seen, the wording is nearly identical, with the added clarification in Tonisborg that the 20 other wishes were not permanent. This tells us two really interesting things: first, that these ideas of temporary wishes and evil areas were established features of gameplay in the Twin Cites. These are part and parcel of the pre D&D game. Second, despite the fact that levels 1-6 of Blackmoor Dungeon as published in the FFC were stocked randomly using the D&D tables in Monsters & Treasures (see this post for an explanation), in the few places in Blackmoor dungeon levels 1-6 we see notations from Arneson, at least some of those notes stem from an older stocking list. The other example from level 10 I want to mention here is a note regarding what must have been the boss creature of the level. It is called the Ylth'yl, a name unknown to D&D. Ylth'yl, whatever exactly it may have been, was taken from the pages of a book by Gardner Fox published in 1964 and titled Escape Across The Cosmos. In that book, the Ylth'yl is an evil energy creature, that bears some resemblance to both the mysterious gaurdian creature of the Temple of ID, described in the FFC, and the Invisible Stalker of D&D. The appearance of this creature here helps us solve another mystery. If you will recall from our discussions of David Megarry's early character sheets, one of his favorite characters, The Scholaress, met her fate in Tonisborg dungeon, fighting a 7 headed hydra. The picture below shows the bottom of the Scholaress character sheet showing her kill record. Take note of the area of scratched out green felt. The words scratched out really puzzled me, but now it is quite clear the bottom word is Ylth'yl. It may read Killed by Ylth'yl, but perhaps, like the temple of the ID monster, the Ylth'yl doesn't kill, instead it knock out and transports a character somewhere. In any case it seems the Scholaress encountered the Ylth'yl at least once in Tonisborg. Since the origin of the Ylth'yl predates even Blackmoor, this monster is of no help for dating, but does hint at an earlier non-D&D stocking key. Unfortunately, Level 10 of Tonisborg is the one level for which no handwritten key was put on the map. We must consider the possibility that the whole purpose behind making the map photocopies on oversized paper in the first place was to provide a blank slate for an entirely new key in order to update the dungeon to the newly released D&D rules. Perhaps this update had only reached level 9 by the time Megarry got the maps, and perhaps Level 10 was never in fact restocked. In the sample shown above, it is obvious certain sections were gone over with color markers. Mr Megarry explained that he had done this in order to make seperate sections distinct: "I added the coloration. The brown are areas reached from the main staircase without going through a secret door; the green are areas can only be reached by going through a secret door; the orange are areas that are reached by up or down staircases." There are 10 levels - just like Blackmoor dungeon. Each sheet of 11" * 17" paper has one dungeon level. The levels themselves were originally drawn on standard 8.5" 11" three-hole graph paper. All of the sheets have a key written in pen on the side of the map except for Level 10, which was perhaps, never completed in a form that was compatible with the standards of the 1974 D&D booklets. In mimicking the stylistic look of Blackmoor dungeon, Tonisborg also replicates one of it's most impressive features, it's linear and vertical complexity. It is particularly amazing to realize these dungeons were created before 1974, whereas the dungeons that followed in their wake were generally simple block and corridor affairs with a single stair or two down to the next level. Tonisborg has multiple sections on a single level, with a veritable maze of stairs and trap doors connecting multiple levels. This dungeon, like Blackmoor, isn't just about finding monsters and looting treasure, it is simultaneously an exploration puzzle, whose secrets could take many expeditions, and careful mapping, to unravel. In our next post, we will discuss the details of the stocking method and contents of Tonisborg dungeon. For D&D archaeologists, Tonisborg is like the lost city of Atlantis. Hints and whispers of this very early Blackmoor spin off have excited the imagination of researchers for decades. Of course, it was inevitable that the game that became Dungeons & Dragons would spread beyond the confines of Blackmoor and Greyhawk. It didn't take long for some of those among the pool of original players, to begin developing their own dungeon lairs, following the examples of their mentor, either Arneson or Gygax. Rob Kuntz's Castle El Raja Key is perhaps the best known example, but there is also Tonisborg, from one of the central Twin Cities players; a megadungeon which held the promise of shedding light on early Blackmoor gaming. Tonisborg was the brainchild of Greg Svenson, who started playing with Arneson and co. when he was still in High School in 1969, and is best known to D&D fans as the creator of the iconic "Great Svenny" character. "I built a city, called Tonisborg, complete with a dungeon and a network of catacombs, during 1973 and ran many adventures there and all around the Blackmoor area in 1973 and 1974 using the play test rules for the original three little books and then the published books. Tonisborg was located approximately where Vestfold is on the current Blackmoor area maps, for anyone who is interested. I loaned my materials to one of the other guys in 1980 so he could run an adventure for a new gaming group and never saw them again. He just said he lost them. Oh well..."
"Yes, Megarry is responsible for losing the 2nd dungeon made in Minnesota. Greg moved to Boston while I was living there; in fact, we drove his moving truck from Minnesota to Massachusetts together. I was working at a copy center in the Harvard Law School in Cambridge MA. I took his copy to make a copy after visiting him and put it into a magazine at the house I was staying at to make sure I didn't bend or fold the pages. I worked 3rd shift so I went to bed. When I got up and went to get the magazines, I find that the cleaning lady for the house had thrown out the magazines and it just so happened that it was garbage pick up day: gone, gone, gone with no chance of redemption. It was painful to tell Greg that his creation was lost to eternity." Lost and gone forever.... That's how the story went. Personally, I held out some hope that something of Tonisborg might one day turn up in a a dusty box from someone's basement. David Megarry did in fact pull some dusty old maps out of a box to show to Griffith Morgan, director of the forthcoming Secrets of Blackmoor documentary. Mr. Morgan wondered if at least some of those maps might be Tonisborg, but it wasn't until November that Mr. Megarry shared complete scans of his mystery maps with me. 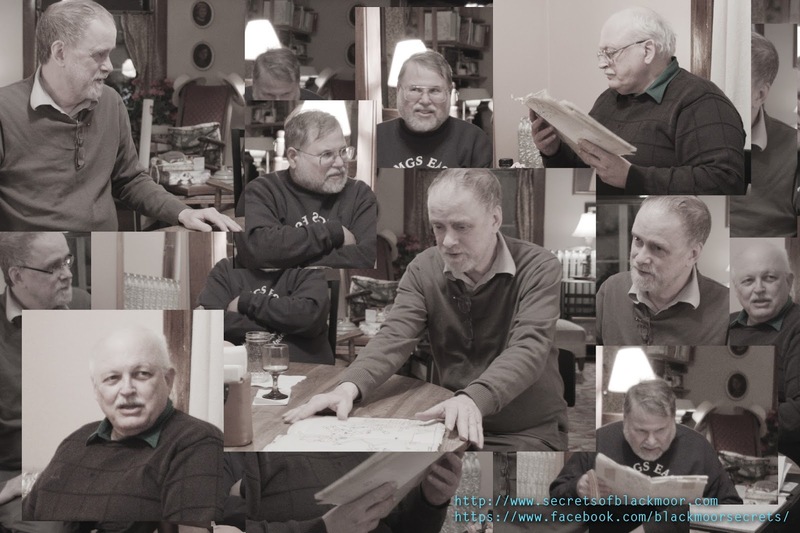 Among them was a set that looked an awful lot like the types of maps Dave Arneson drew, however hese maps - photocopies of photocopies - had handwritten keys that everyone agreed was not in Arneson's hand. Even so, this particular set of maps looked so close in style to Arneson's dungeon, I felt they had to either be something he drew and someone else keyed in or they were drawn by somebody intimately familiar with the halls and corridors of Blackmoor Dungeon, who then used that familiarity as a model. Like Girffith Morgan, I thought Tonisborg seemed the obvious candidate to explain these maps, but David Megarry was certain Tonisborg was forever lost in a Boston landfill. Nevertheless, while I had no doubt the originals of Tonisberg were indeed lost I wondered if these were photocopies of Tonisberg that had been somehow forgotten. I sent a couple scans to Greg Svenson. I told him only that we had these unknown maps and asked if he recognized the handwriting. His response was a bombshell "That is my hand writing. Those are my long lost maps. I had created dungeons for the city of Tonisborg,.." (pers. comm 2017). And so Tonisborg lives again. At some point, we will be making the complete dungeon available, but here I just want to talk about some of its features, and how that relates to both Blackmoor and D&D. These maps are copies of originals that come from 1973, yet being copies, they also introduce elements from later dates.... What then is the date of these particular copies? For that we need to note several important facts. First, these copies were made on legal sized paper, presumably to leave room at the margins for the hand written stocking notes which appear on every page. Second, the hand written stocking notes are in pen, written on the photocopies, in Greg Svenson's hand. This is most clearly seen here, where an unfortunate water stain has washed out the ink. This means that these maps were copies prepared by Svenson at some point. It also means that the stocking list can't be taken automatically to be the original one from 1973. It might be the same, almost the same or it might be completely redone. One aspect apparent about these notes, is a number of changes and corrections. For example, on level 1, rooms 4 and 6 are switched in the key, and room 20 & 21 are squeezed in under the listing for room 3 to include them as part of a "priests" lair. Whereas room 22 on the bottom of the list with its Giant Ants monster is crossed out. We see corrections of this sort throughout the levels. These could be copying errors. It's easy, as any student of the text criticism of handwritten documents can attest, to skip or mix lines when copying, especially if the original is a messy working document. That may explain why numbers and so forth are sometimes switched. It could also simply be a case of changes and corrections being made at the point of initial creation or alternatively, Mr. Svenson may have been using and marking these photocopies as a working copy of his dungeon for at least a short while. Further clues to the age of the stocking list can be found within the list in the specific types of Monsters and Treasures. Reading through the handwritten room keys for levels 1-9, all monsters are exclusively found in the 1974 D&D booklets with one interesting exception: the wererat. Perhaps unfortunately for us, the wererat is not a particularly good dating indicator. This monster first appears in printed D&D in Greyhawk Supplement I (1975), but we can't then jump to the conclusion that the presence of this, and only this particular Greyhawk monster indicates a stocking date post Greyhawk. Wererat is, after all, kind of an obvious addition to the existing collection of werecreatures in 1974 D&D, and furthermore, were rats of some sort show up in Fritz Leiber's books in 1968. Leiber's writings, of course, were well known among the Twin Cities gamers, and so we must recognize the very real possibility that Leiber, rather than Greyhawk is the source in this case. Another feature regarding the relevance of the Greyhawk Supplement is a point of conspicuous absence. Among the "monsters" in the list are fighters, magic-users and "priests". There are no thieves, no footpads, no Paladins. In fact none of the other monsters or characters introduced in Greyhawk can be found in Tonisborg. It is not like Greg Svenson to be particularly game conservative. He has, and he continues to happily play whatever the latest version is. This absence of the 1975 Greyhawk Supplemment I monster material is therefore very suggestive. On balance, the monsters of the stocking list seems to pre-date Greyhawk, or at least, to owe it no debt. Our next clues for dating the stocking list are perhaps even more telling. There is not a single magic item from Greyhawk, or indeed from any source except the Magic and Treasure booklet of 1974 D&D. Furthermore, it also appears we can rule out early D&D drafts as the source, working on the assumption that the Beyond This Point be Dragons re-edit of the 1973 "Guidon" D&D draft accurately reflects its magic item contents, as I believe it does. On level 3 of the Tonisborg stocking list, there is a "+1 dagger (+2 vs. Gob, Kob)". That matches a dagger in the 1974 D&D print - it says "Dagger +1 vs. Man-Sized Opponents, +2 vs. Goblins and Kobolds" whereas the BTPbD version has "Dagger +1 vs. Man-Sized Opponents, +2 vs. Goblins". Notice this earlier version lacks Kobolds. Another example is a Cloak of Displacement found on Level 7. That item does not appear in the BTPbD magic item list at all, but it is in first print D&D. So it appears we are talking about terminus post quem of January 1974 for the stocking list. Termnus ante quem is indeterminate, of course, but it seems unlikely Greg Svenson would have failed to include items from Supplemment I Greyhawk (1975) if he had that booklet at the time he created this list. Therefore it is safe enough to say the internal evidence of the stocking list, dates it to the 1970's, with a likelihood of 1974. That's the internal evidence, but we've also got some external evidence to consider. David Megarry actually moved to Boston twice. First in January of 1974, leaving in 1976 to go work at TSR in Lake Geneva, and a second time in 1977, living there until 1980. It was of course during the second stay that Greg Svenson's maps were tossed out by the cleaning lady. Anecdotally, Mr Megarry relates a vague memory of having received the photocopies we now have while standing at the bottom of the stairs in Dave Arneson's basement. If this is an accurate memory, it would seem to indicate that he received the photocopied maps very shortly before leaving. "...I am now a member of the MIT Strategic Games Society. They already have most of the wargames in existence though they are weak on campaigns as such. Mostly they just play games that have an ending. Dungeons and Dragons is there and I am going to introduce the Tonisberg Dungeon made by Greg Svenson to the fantasy referee this Saturday." We can be fairly sure between internal and external evidence, that the copies we are looking at here are those referenced in the letter to Gygax, and that Megarry got them from Svenson (somehow) between January 1974 and the end of December 1974 - probably directly from Svenson just before leaving the Twin Cities in January. Later these copies were placed into the aforementioned box when Mr. Megarry moved from Boston in 1976, and subsequently forgot he had them. Next post we will look at some of the features of the megadungeon itself. New Year and New Look for the 'blog. Hopefully this new template will be more "device" friendly. As part of this upgrade, I will be going back through old posts, fixing wonky fonts, and revising and editing content where it is called for. A few posts back we talked about an alternative way of generating troop cost based on Arneson's Napoleonic economics, but that's not the kind of "Support and Upkeep" I have in mind today. This 'blog and this 'blogger needs support & upkeep too. As an archaeologist applying my trade to the detritus of play, I've been bringing unique insights into obscure gaming goodness from Arneson and the Twin Cities gamers since 2011 and it seems to me that there is still a mountain of work and material to write about. Really, I have only scratched the surface, layers of goodness remain to be brought into the light and made available to enrich our experience of gameplay. I plan to keep at it for many years to come, but the sort of research and writing I do for this 'blog is very time consuming and requires a lot of highly specialized knowledge - it is not unlike a second career. I'm not complaining or bragging, just pointing out the effort that goes into what you read, and making a small request. I hope all of you have enjoyed and benefited from at least some of the content I've written over the years, and I'd ask, if you are able, to consider showing your support and interest by joining my Patreon group. There is a Patreon link at the top of the column on the right. Becoming one of my patrons will grant you access to some of my super cool personal content you can get nowhere else, but will also give you the satisfaction of knowing that you are helping me to take the time and do the research it takes to bring the sort of gaming content you can find here and nowhere else. I wouldn't ask for this kind of support if it wasn't truly needed. So I hope you will consider showing your appreciation for the blog thru becoming a Patron if you can.